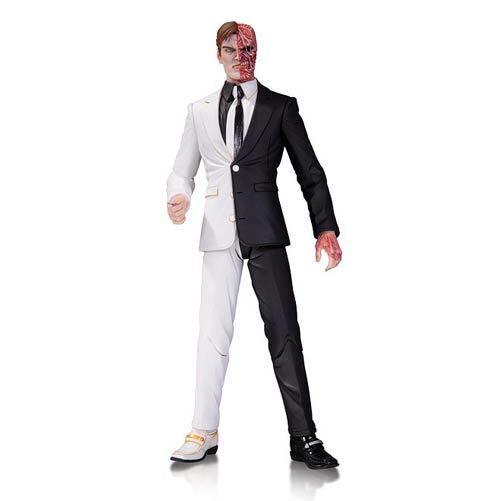 Based on the designs from the best-selling artist of Batman, Greg Capullo Action, comes this DC Comics Designer Series Two-Face by Greg Capullo Action Figure! Harvey Dent has multiple points of articulation, is equipped with a two-head coin, and Two guns. comes in a window box, Two-Face Measures about 6 1/2-Inches tall. Ages 14 and up.